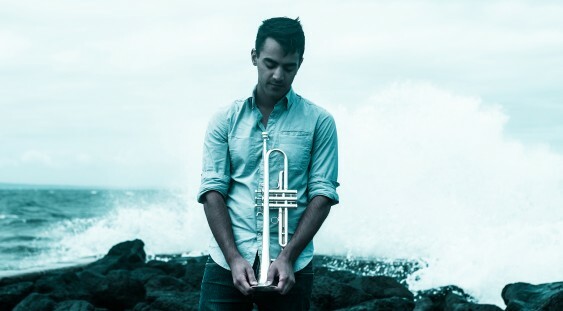 Born in Canada and raised in Melbourne with Indian and German heritage, Niran Dasika is a trumpeter gaining increasing attention around Australia and abroad for his distinctive, etherial trumpet sound and compositions. Niran’s virtuosic trumpet playing has placed him in high demand both in Australia and in Japan, where he spent some years performing and recording on albums from Blue Note Records, Sony Music, Diskunion Records and more with Japanese jazz musicians Shun Ishiwaka, Sumire Kuribayashi, Akihiro Yoshimoto and others. After taking out 2nd place at the 2017 National Jazz Awards at the Wangaratta Jazz Festival, Niran released his latest album ‘Suzaku’ in March 2018 with his Tokyo-based quartet through Japanese jazz label Apollo Sounds Records to a Japan-wide tour. Resonating with a remarkably wide range of audiences, AllAboutJazz.com describes ‘Suzaku’ as “like birds singing in a placid twilight… glows with a luminescent reverence”. 2018 saw Niran perform at the Tokyo Jazz Festival, Melbourne International Jazz Festival, Wangaratta Jazz Festival and Perth International Jazz Festival as well as international touring with the Shun Ishiwaka Trio, Paul Grabowsky’s The Gravity Project and his own projects.